This week featured the return of a few rappers we haven’t heard from in a while as well as one name we never thought we’d see on our Top 100 chart to begin with...and this lady rounds out the Top 10. Hell, if Rod Stewart can get a moment in the hip-hop sun, why not Tay Tay? This track moved into our Top 10 in its first week and irked a lot of HNHH readers. Accusations of K. Dot "selling out" flew in the comments section. But very few looked at whether or not Kendrick’s verses stand on their own. As far as we’re concerned, Kendrick continues to kill it, TSwift or nah. Point being, songs like “Only Right” aren’t going anywhere. And this Ty track in particular has held on for another week, dropping just one spot to land at #9. Boosie’s improbable return to fame continues. The Louisiana rapper’s drive is so strong, that not even Jermaine Cole can throw him off as he leads up to the release of Touchdown 2 Cause Hell draws near. This week he debuts in our Top 100 at #8 with his latest single leak. Two things will remain after the bomb drops: cockroaches and Drake co-signs. This leg-up for Fetty Wap fell five spots in its third week on the chart, but it’s still holding strong at #7. This star-studded track debuted at #1 last week and has already fallen five spots to #6. Do you think he'll be able to hold on much longer? Tyga switched up his sound for his latest single, but HNHH readers decidedly were not feeling this track. The gutter production and “take no prisoners” mentality weren’t enough to woo the commentariat. Still, “Hollywood” landed at #5 in its first week. 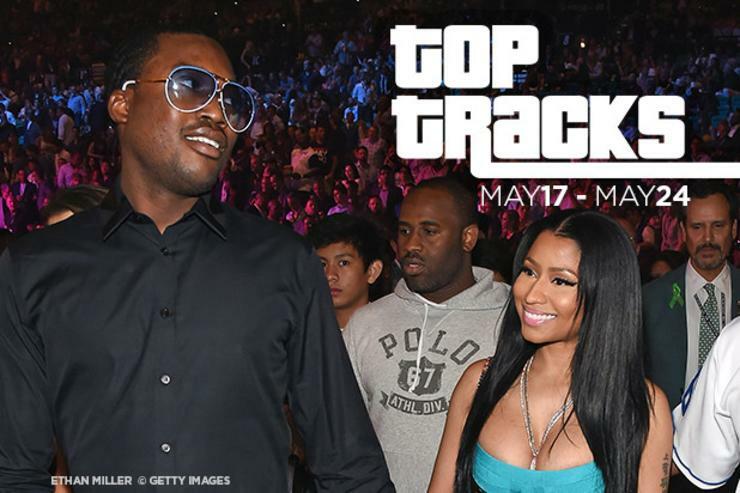 Meek Mill’s take on Drake’s “Energy” barely budged in its second week on the chart, falling one spot to land at #4. Ok, y’all. A.L.L.A. is going to be scary good. The latest single from Rocky’s upcoming album continued his string of excellent tracks and debuted at #3 in its first week (and it just dropped on Friday, so that was a pretty short span of time). We imagine it'll make its way to #1 this week. Still, this mainstream-leaning Fiddy cut with a roster of older all-stars ain’t half bad. It was strong enough either on quality or star power to land at #2. It’s Meek’s year. Everything he touches is golden, including that earlier freestyle and this tribute to Chinx Drugz and Lil Snupe. Mill jumps back and forth between honoring the fallen and cataloguing his own paranoia in the past week's #1 track.